Mahler’s Seventh Symphony once rarely heard is becoming a regular performance. Dubbed his “Cinderella” piece, it is sometimes referred to by the title “Song of the Night” Lied der Nacht and was composed in the summers of 1904 and 1905. It is considered in its form the most challenging and most mysterious of his symphonies with many biographical resonances ­– his marital difficulties with his wife Alma and the loss of his first-born daughter – it is a sort of musical diary. 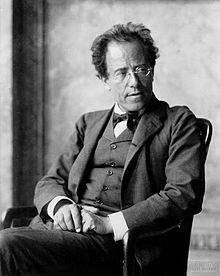 During vacation in his lakeside retreat at Maiernigg in the Carinthian Mountains, Mahler sketched the second and fourth movements, completing the first, third and fifth the following summer. It premiered on September 1908, in Prague, at the Emperor Franz Joseph’s Diamond Jubilee festival. Very enigmatic, it comes from the composer’s mature middle period interweaving tragic and optimistic elements. 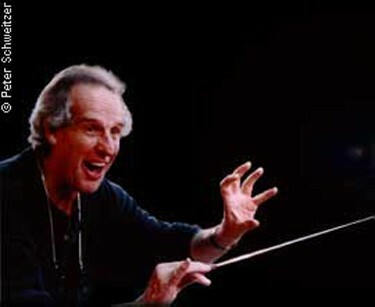 Conductors disagree on the performance length that can vary from 70 to 100 minutes. A bit perplexed and fascinated by this staggering piece, I was awed by Maestro Benjamin Zander conducting the Boston Philharmonic Orchestra 78 minutes long work in five movements last week. The Seventh does not have any programmatic structure, it is an epic journey from darkness to overwhelming joyous affirmation. Its rhythm was inspired and came to Mahler while rowing on the lake at Maiernigg after months of compositional dearth. The nearly half-hour first movement, in sonata form, began with an ambiguous march, slow, hesitant and weighty at first, then increasingly spirited and finally frantic. Was it a shadowy moment, a strange funeral march, a militaristic one, a waltz or was it a celebration? Mr. Zander embraced them all holding the long span of the first movement while drawing great colors from his orchestra that played passionately although a tad too fast. The violins pouncing and swaying the march’s opening movement, inspired by the nature and scenery of the Carinthian Mountains, are lyrical reminiscent of Beethoven’s Pastoral. The opening movement gave way to the serene, eerie and fantastical Nachtmusik or night music of the second and fourth movements. The second movement or “walk by night” opened with horns calling each other across the mountain. Principal baritone horn Kevin Owen combined superb control and phrasing for his beautifully articulated solos launching the dark melody of the first movement and the burnished tone of the secondNachmusik. He captured beautifully the music’s more austere, often eerie, atmosphere. The fourth movement, the second Nachtmusik introduces by a solo violin an amorous atmosphere of chamber music by the reduction of instruments amidst a huge orchestral work. It featured the magical serenade with the gentle tones of guitar and mandolin that was played respectively by Stefan Koim and Sue Faux. This sunny and cheerful lyrical mood foretold some of the twentieth century repertoire with its instrumental combination of harp, guitar and mandolin. Framed by the second and fourth Nachmusik, the orchestra performed the spooky, scherzo sounding like wind shrieks through trees at night. The eerie timpani played by Edward Meltzer, the low wind instruments and ghostly basses joined to create a gloomy atmosphere before culminating in a feverish cacophony of a joyful finale. The combination of the boisterous timpani and the blazing brass really brought down the house in this riotous final movement.